New Delhi: At a time when Indian railways is in a transformational phase through the introduction of high-speed trains, rapid electrification, doubling and the introduction of metro in multiple cities, Tilak Raj Seth, Executive Vice-President of Siemens Ltd in India speaks to Media about the future of the sector in India. He also shares the German conglomerate’s growth road-map in the country, covering various segments like electrification, automation and digitization. Once the Rail Development Authority is in place, do you think there will be greater clarity as far as pricing and infrastructural projects of Indian railways are concerned? We know that rail development authority will certainly contribute to easing some of the pressure that the rail sector has, and one such pressure point is that railways have a dual role of commercial enterprise as well as social responsibility. In this dual role, sometimes, one has to make compromises. When the railway development authority is in place, railways will also be a little bit de-stressed. In fact, on March-end, railways’ revenue earnings were more as compared to the previous year, which was possible because of the discount scheme. The dynamic pricing, discounting helped to increase freight beyond one billion tonnes and also higher passenger revenue. Overall, the total revenue was more than the previous year. So, market prudence helps. Over a few years, semi-high speed has been the focus. From your point of view, with the current infrastructure, how realistic will it be for a country like India that has very old tracks and bridges to think about a semi-high-speed route? First of all we should understand that when the rail infrastructure was getting created the world over, it was also getting created in India at the same time. We did not lag behind in terms of the beginning of the rail infrastructure. Where, we have lagged is, over the last 5-7 decades over a country like China. China, in 1950, had 22,000 kilometres and today, they have 1,21,000 kilometres. Whereas India, in 1950, had 54,000 kilometres of rail network and in 2015, we had 66,030 kilometres. You see how much we added. Today if we are nearly 67,000-plus kilometres, it is not a small number. So, whatever we want to do, we must utilise this infrastructure. Of course, this infrastructure can’t always be used for high speed, but certainly semi-high speed. Another item that we say of course, that your high-speed corridors, your semi-high speed, the operation must be inter-operable. That means the network must be inter-operable. Very, very high-speed train should be able to pass through existing infrastructure, at naturally lower speeds but at the order of the semi-high speed. 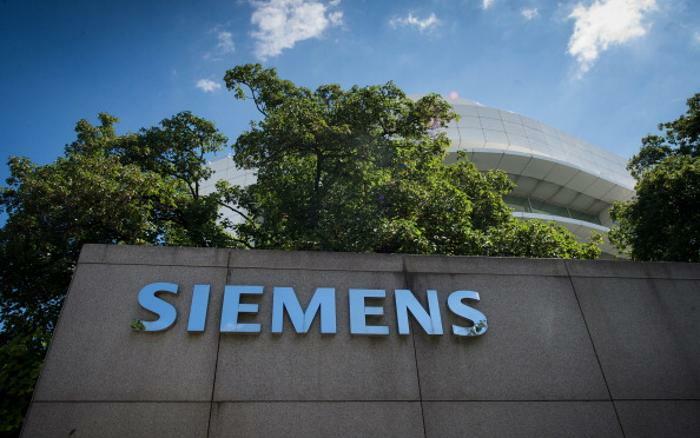 Coming to the Siemens mobility business, as far as Indian market is concerned, what are your expectations? We operate in all the elements of mobility and transport business now and one of them is mainline. We are everywhere in terms of propulsion equipment for locomotives, EMUs, mainline signalling, electronic interlocking, electrification components and we are very happy that Indian Railways is regularly upgrading and strengthening its network, and its rolling stock. Railways also has ambitious plans of adding more EMUs: the Kanchrapara project, and the DFCC (Dedicated Freight Corridor Corporation). So that’s the main line. Regarding the metros, again, we are present in everywhere. We recently got an award for the signalling and electrification of Nagpur Metro, and we are practically there in every major city. We are doing 50 per cent of Delhi Phase III, Calcutta, Chennai, Greater Noida and of course we are participating in the next bid phase of various other projects. We are also doing signalling for, as mentioned Nagpur, but also for Chennai and also one of the lines in Delhi. India has a huge potential of Rs 8.5 lakh crore investment coming in. What are your investment plans for the country? We are regularly investing because there are 23 factories. I don’t think that there are many people who can claim 23 factories. We are continuously investing and expanding our footprint as required in the marketplace. You compared India to China. You were involved in the Maglev Project in China. What is your take on Maglev technology set to be introduced in India? The Maglev technology belongs to Trans Rapid, which is a company owned by the Siemens-ThyssenKrupp group. We feel that the speed of 350 km per hour (kmph) can be managed best by rail wheel high-speed (conventional) since greater speed does not give any time advantage for rail-wheel. For, higher speed one can turn to the aviation industry. We feel that 350 kmph is the limit. While we know that the Maglev can go beyond 350 kmph, it can never reach the speed achieved by aviation. To have a speed of 400-500 kmph doesn’t really make any sense.